“Find Your H A P P Y” choreographed by Tiffanie Carson. Photo: Jan La Salle. 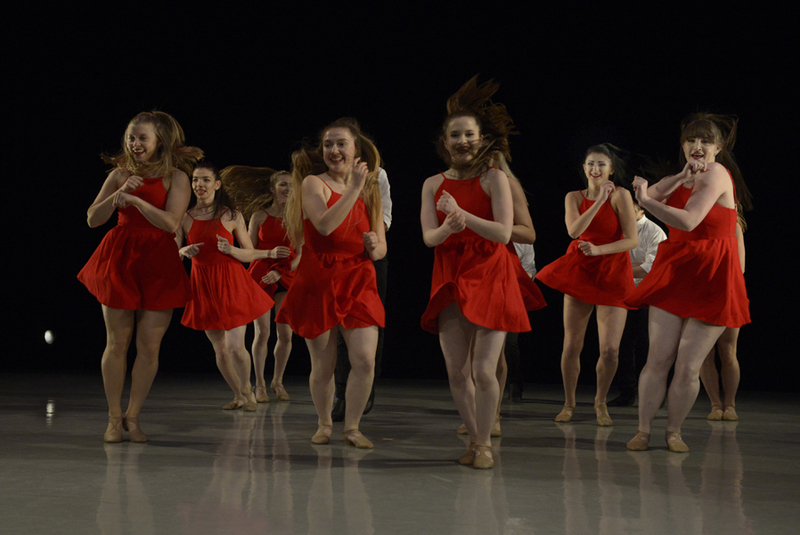 On Saturday, April 28, and Sunday, April 29, Jazz Choreography Enterprises (JCE), in their 11th year, presented their New York Jazz Choreography Project at the Salvatore Capezio Theater at Peridance. Thirteen pieces were performed in this small black box theatre that burst with color as the dancers entered onto the stage. Marian Hyun, Co-Artistic director of JCE, gave a quick opening statement with pride. She spoke of the wide variety of jazz dance and creating a space in which the audience could fully understand just how versatile this form of dance can be. Dancers ranging from high school students to working professionals graced the dance floor, bringing the original choreography of 14 upcoming and working choreographers to life. True to the opening statements there was a wide variety of sensations that swept the audience as the pieces pulled from well-known and clear influences such as Bob Fosse, Twyla Tharp and Alvin Ailey, to name a few. Although some pieces seemed a bit more sophisticated than the level of some performers, there was no doubt that these dancers were thoroughly enjoying their time on stage. From the moment the show opened with “Find Your H A P P Y,” choreographed by Tiffanie Carson, there was an audible excitement in the audience. Pieces like hers and “Well, Git It” choreographed by Daniel Gwirtzman, “Rush Hour Rendezvous” by Mallory Pettee, “Cool Cat” by Daniel Gold and “And Just Like That” by Joey Rosario had a distinct Broadway feel. They could have been easily air lifted onto any Broadway stage. There were two stand-out pieces, in my opinion, which stole the show. The first was “Pas de Drag,” choreographed by Spencer Pond who also starred in the piece as the attention seeking ingenue alongside MacKenzie Friedmann as the suave and commanding debonair, who had a striking resemblance to Christian Borle in her crossdressing get up. Everything about this piece brought one back to a vaudevillian cabaret with the brilliance of Charlie Chaplin and the feel of the roaring 20s when the Charleston was well and alive. With its slapstick quality and blatant play on the sexes, it was a delightful breath of vintage air exhaled with a full belly laugh. The second was Al Blackstone’s “This Way,” which made everyone relax into a dreamy trance as three women took you through a journey led by Macy Gray’s soothing vocals. This piece was specifically choreographed for Steps Conservatory Program students Virginia Ercolani, Astrée Périchon, and Serena Wolman, who all proved that less is more with their effortless movement and overall command of the stage and our hearts. “Rhythmic Current, Pt. 1” by Eveline Kleinjans and “X I I” by Talissa Bavaresco pushed their dancers’ limits, which proved to be a bit more than they could handle though they did adhere to the saying “the show must go on.” Whether falling off rhythm or literally falling, their dancers however young or old proved to be professionals in the eye of adversity. Bavaresco’s choreography and song choice, Rodrigo and Gabriela’s rendition of “Stairway to Heaven,” were captivating. You could see her base influences pulling from her extensive knowledge and training in ballet. The one glitch didn’t pull away from her obvious talent as a choreographer. Kavin T. Grant, Ashley Carter and Vanessa Martínez de Baños, who choreographed “Identity Check: Brown Paper Bag” and “Tremors” respectively, brought a more grounded and earthy feel to jazz; the strength and growth, repetition and emotional journey left you breathless and wanting more. “Inner City Blues: Excerpt 4” by Michelle Isaac and “reasonsLegacy” by Linda Kuo brought the new into the old with their lighthearted choreography that dug down into the roots of Jazz dance. Isaac’s visuals of schoolgirls and a teacher making a play on storytelling and learning from one’s elders made you think about the traditions that are passed down from generation to generation and how certain lessons can only be expressed by pure natural movement. Kuo’s dance which mashed elements of swing with hip hop and breakdancing had a reminiscent feeling of the happiness you feel when watching Pharrell Williams’ “Happy.” With breakout solos and spunky partnering it left one smiling from ear to ear. If you didn’t have the distinct pleasure of seeing this year’s performance I urge you to make a note in your calendar for next season’s choreography project. It’s a celebration not to be missed! Ninoshka is a New York City based performer, teacher and writer. She graduated from Ithaca College with a degree in Environmental Science and a minor in Dance. 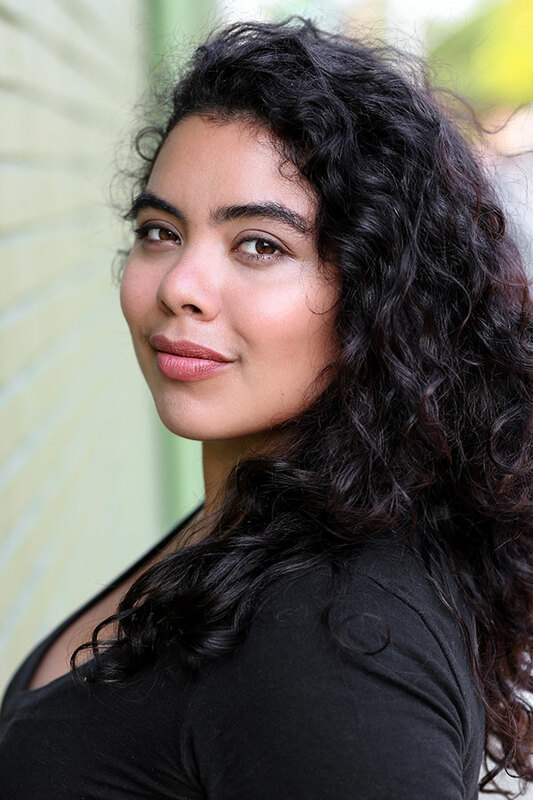 She currently apprentices with the Theatre Development Fund and works as an actor/singer/dancer in and out of NYC.